The European Parliament recently voted in favour of a stronger European Pillar of Social Rights, including labour protections for all workers, “regardless of the type of contract or employment relationship”. But the report is unrealistic warns Marco Torregrossa. Marco Torregrossa is secretary general at the European Forum of Independent Professionals and managing director at Euro Freelancers. The report suggests full-time contracts should remain the norm, and on-demand platforms should guarantee certain core working hours to all workers. As Bloomberg rightly puts it, this is a “maximalist” approach, which will stifle job creation and innovation. It would also speed up automation, solving the worker-protection problem by reducing the number of workers. Freelancers and self-employed associations at national level regularly run quarterly confidence surveys with their members (e.g. in the UK). These surveys consistently indicate that social security is indeed a concern for the self-employed. It’s an area where access conditions (art. 49 TFEU) remain limited and the self-employed are discriminated vis-à-vis employees. However, social security is not as important as other topics which rank higher in the confidence surveys, such as access to markets (e.g. find work/clients), reducing admin burdens and taxation issues. In other words, the self-employed generally would prefer to work more (if they are given the chance) rather than not working at all and instead access benefits. This is the reality. Strict Employment Protection Legislation (EPL), as the European Parliament is proposing, does not by itself entail a higher protection and security for workers. On the contrary, academic research shows that workers feel less secure when jobs are more protected. As the World Employment Confederation Europe writes, stricter EPL, as measured by the OECD, leads to longer unemployment durations and a lower uptake of entrepreneurship. While protecting employees by reducing the risk of job loss, EPL also increases the associated cost of job loss by reducing the “back to work” rate from unemployment. In other words, strict EPL concentrates the unemployment risk among outsiders while protecting those that have a job (the insiders). In the gig economy, a portfolio of work can better protect workers against the possibility of losing all their income at once. Once again, national freelance confidence surveys show that today, having a diversified portfolio of clients that generates multiple income streams is more secure than having one employer. The labour market is changing, and traditional jobs often provide less security, fewer benefits, and fewer rewards than ever before. In that context, self-employment offers a measure of control over your own destiny. Recent research by the European Forum of Independent Professionals found that the self-employed population contributed to European GDP with €8.6 billion in service trade in 2014. 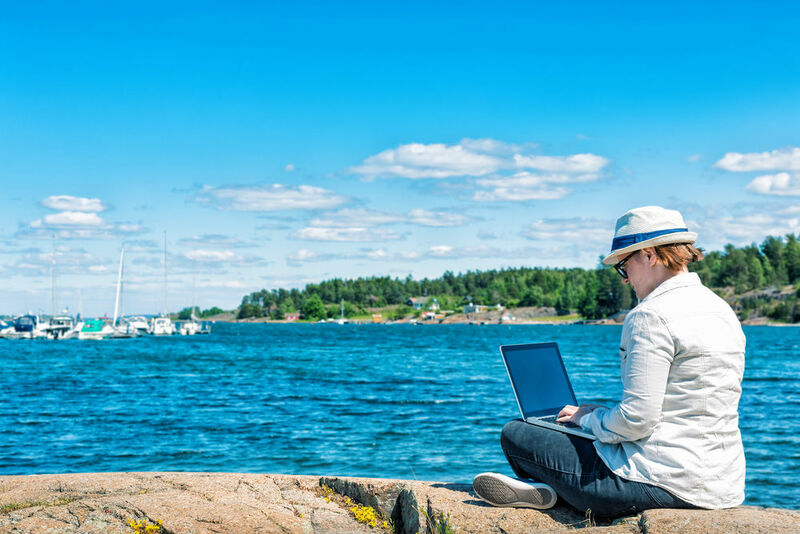 The growth in self-employment and above all in freelancing (highly skilled segment of self-employment) has helped the European economy get back on its feet after the recession. It has increased labour productivity, workers’ engagement and workplace innovation. However, changing practices and structural shifts in the labour market aren’t yet reflected in the policy thinking of the EU Institutions and national governments. Governments must not blur the lines between vulnerable gig-economy workers and the on-demand flexible workforce as a whole in their attempts to bring equality to labour laws. Policymakers must take into account that a blanket approach does not serve all independent workers adequately and has the potential to cause irreparable damage to those who genuinely choose to be self-employed, who largely remain the majority, according to McKinsey. Good social rights do not automatically go hand in hand with permanent contracts. Employees are increasingly split between burn-out and bore-out, facing either psychological stress because of overwork or lack of rewarding tasks to perform. Rather, we need a policy environment that promotes customised contractual arrangements as a means to increase labour market participation and inclusion. Addressed properly, the gig economy has the potential to eliminate skill shortages, ease unemployment and create a framework where workers are rewarded exclusively for their output, regardless of their location, education, gender, race or political opinions. As Bloomberg puts it: applying a core of social rights to the on-demand economy would indeed promote equality by giving more people an equally good chance of being unemployed. Independent workers are pioneering a new way of work. It’s high time that governments listen to what they are telling them!